Shorter hospitalizations, the increasing cost of nursing homes, and the need for many people to receive care at home are just some of the many factors that have prompted our society to rely more and more on home healthcare. We are Palm Beach county senior services providers and are dedicated to helping the elderly. Fractured bones, hip replacement, bypass surgery or living with day to day struggles of dementia, alzheimers, cancer and stroke, as well as many other debilitating conditons. CareGivers of America Responds to the growing need for home healthcare- by serving the elder population living in Broward County and West Palm Beach. CareGivers of America provides a caring team dedicated to excellence in home health services. We work with families, guardians, insurance companies, case managers, social workers and with physicians and administrators in hospitals, clinics, nursing homes and other facilities. 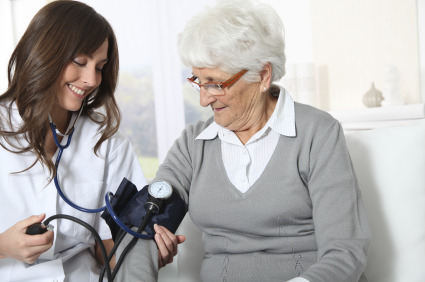 Our expertise and high standards compel us to provide a higher level of home healthcare and elder care. West Palm Beach based families have trusted us for years and so have the residents of Broward County. Elderly services delivered by us are efficient, compassionate and driven by total dedication. Our patient is the primary reason for our existence. We strive to continually improve service to our patients above all else. Our quality assurance program aims at maintaining our uncompromising standards in every aspect of healthcare by allowing us to closely monitor the care each of our patients receives. We make no assumptions and leave nothing to chance! That is why we have gained the implicit trust of residents of Broward County. Senior services by CareGivers of America are known for being efficient and compassionate. To provide a range of healthcare services that respond to the needs of seniors and the communities we serve. To meet the needs and surpass the expectations of our patients, physicians, hospitals and others. To promote cost-effective home care. To encourage continued independence and high quality of life at home. One phone call to CareGivers of America makes it our responsibility to coordinate all the home care services necessary to ensure the well being of our patients. Simply stated, CareGivers of America does it all and more. It’s a fact!